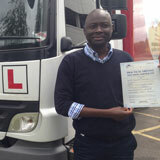 GP training provided in Mitcham, London for driver CPC training, PCV training and LGV (HGV) training. 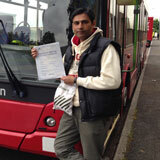 Are you looking for CPC training centers in and around Mitcham , London ? Search through our website GP training and join with us earliest us possible if you want save time and money. 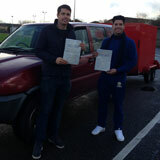 We regularly runs driver CPC training course for drivers who are looking for a cost effective course to join. We are experienced service providers in logistic industry and we have a good reputation providing best services to our customers in Mitcham, London. If you want to pursue your career in driving, then you must hold C1 license, C, and D, D1 or C1+ E license. Drivers must attend 35 hours of CPC driver training course from an approved training center. GP training provides driver training course in a meaningful and an enjoyable way. If you are facing language problem, don’t get hesitated. GP training has experienced instructors who candle various languages of your choice. All of our experienced instructors are DSA approved and if you wish to learn the whole process in useful way, you can contact us through phone or through online. We advise you to join GP training course as earliest as possible and start your career without wasting time. GP training programs provides practical knowledge using latest tools and techniques in logistics. This is the main reason why should join with us. Our courses are specially designed to improve job performance. If you have decided to work in this field, enhance your skills with our program. LGV (HGV) training – LGV means large goods vehicle and it is replaced by HGV, which means heavy good vehicle. The training is a popular driving course offers for those drivers who wish to drive large good vehicles C1+E -7.5t and trailer and C+E truck and trailer. You are free to pay the fees based on the training course you wish to do. GP training has fully qualified instructors to teach you. If you are a beginner, we will provide you theory test materials which will help you to pass the exam with high pass rate. 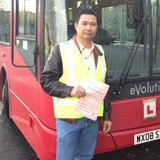 PCV training – The PCV driver training course will help you to drive variety of vehicles. You will get training in PCV for different categories and classes. If you are looking to join the best value course in Mitcham, London GP training center will the right place. We offer special training course for category C up to 32 tones good vehicles with trailers. GP training offers individual driving lessons and crash courses for those drivers who have experience in this field. The training program guarantees PCV pass protection for the entire course you wish to do from us. Class D driver License - once you get the license, drivers are allowed to drive vehicles under 7257 Kg. The license will allow you to drive vehicles such as vans, trucks, passenger vehicles and SUV’s. The license is issued for non commercial use. DI minibus license will permit you to drive vehicle with 9 to 16 passenger seats and D1 +E minibus and trailer is the combination of vehicles which comes under subcategory D1. To drive D automatic buses with more than 8 passenger seats, you must hold the right kind of driving license. 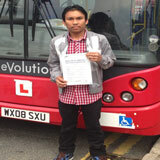 You must attend driver’s educational course to get license for D manual coach and D+E coach and trailer. For driver CPC training, you must attend driver CPC module 4 and 2. 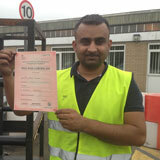 If you wish to keep your driver certificate valid, you must attend 35 hours of training every 5 years. 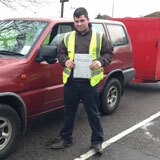 GP training offers UK approved training courses and teaches all drivers CPC modules. You must periodically keep on checking how many hours you have completed the CPC training. Based on the book of rules Mitcham, London, to issue the license drivers must attend CPC case study and CPC theory test. Driver CPC training courses are introduced in Mitcham, UK to maintain road safety and to meet the best driving standards by the drivers on road. The new rule became effective in 2009 especially for lorry drivers and for those who drives vehicle more than 3.5tones. GP training center offers relaxed environment for the learners and in their classroom, practical aspects are covered more. We offer training on site or in a suitable location of your choice. All the drivers must get into the habit of attending CPC training annually. If you are looking for a date to book your place in training sessions, contact us and get registered with us. GP training is established and provides training in the local area near by the place where you stay. We help drivers to plan their training sessions that fits within their logistic schedule. We will contact you a year later to join the next CPC training course. You simply have to attend 7 hour class per year. We offer you the most competitive price that will fit in your pocket.